According to his April 5, 1961 obituary in the Wenatchee Daily World, Elias “Tom” Pybus’s first impression of Wenatchee was “of board sidewalks, dusty streets and a stifling hotel.” He used to say: “the whole valley seemed like a furnace.” Two decades later, the U.K. immigrant blacksmith constructed his own furnace along the banks of the Columbia River in Wenatchee, which grew into one of the region’s most successful steel foundries. E.T. Pybus Steel Company started out making wagon parts and auto springs, and eventually provided steel for the construction of the Grand Coulee Dam, Hanford and WWII ships for the U.S. Navy and Air Force. By the time he died in 1961, E.T. Pybus’s contribution to economic growth in Chelan County rivaled that of the apple industry, for which the area is mostly known, historically. Over the years, the early pioneer’s steel company was eventually split into separate companies, and the large warehouse that used to house Pybus’s foundry became the home of pigeons floating in off the Columbia. Despite the impact E.T. 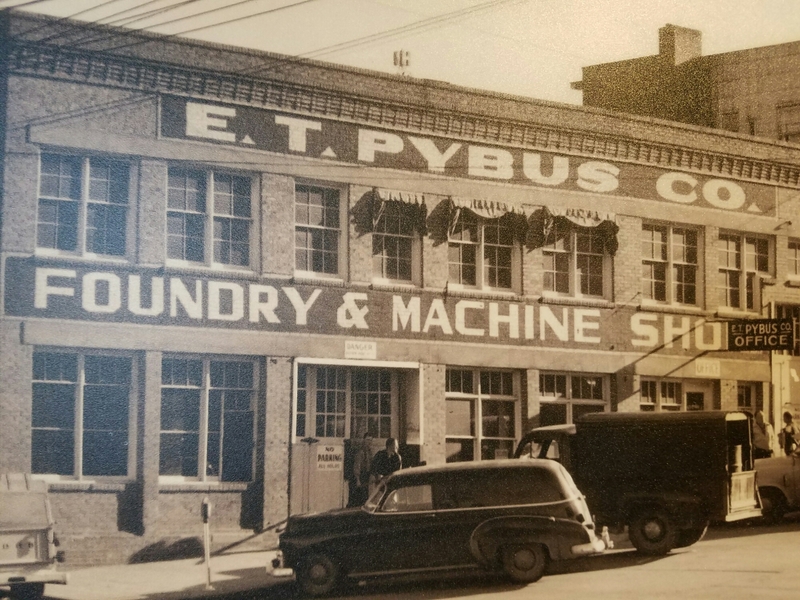 Pybus had made on Wenatchee in the 20th century, later generations had no idea what that building on the corner of Orondo Avenue and Worthen Street represented. 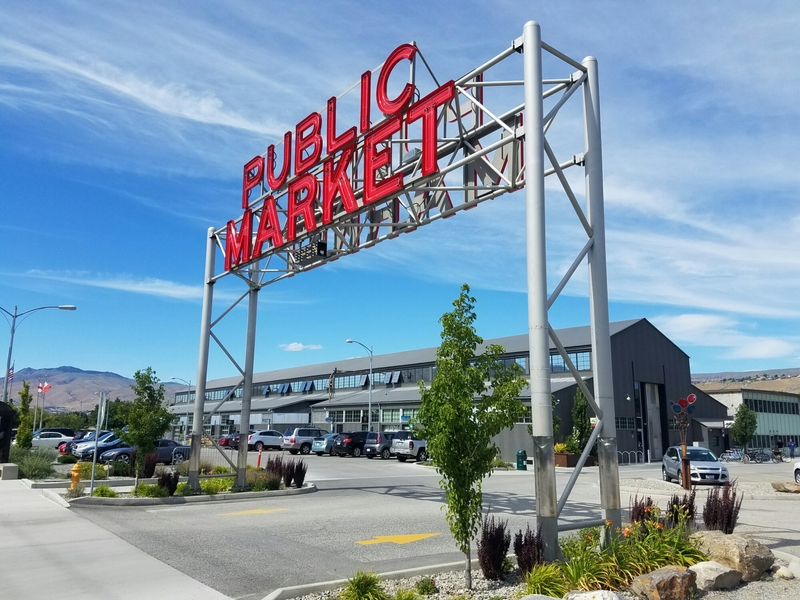 “As a kid growing up in Wenatchee, I had no idea this building even existed,” said Caitlin Gillespie, Operations Administrator for Pybus Market, as she gave me a tour of one of the coolest structures in Wenatchee. The Pybus building emerged from obscurity when, in 2012, Mike and JoAnn Walker established the Pybus Market Charitable Foundation to work in collaboration with the Port of Chelan County to refurbish the 25,000-square-foot space. 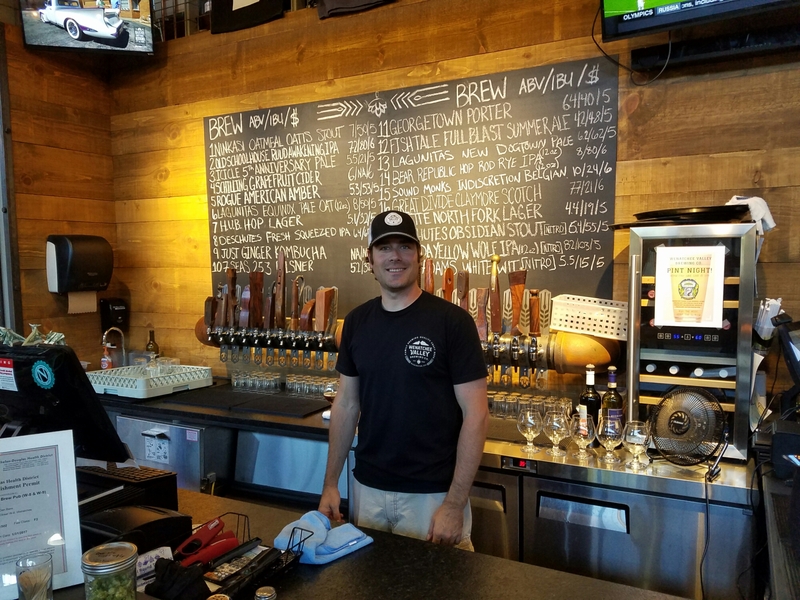 The year-round Market was opened in May 2013 and now houses some of the best businesses that Wenatchee has to offer: a produce stand, florist, brewery, wine tasting room, cheese shop, restaurants, butcher and more. On the recommendation of Cascade Loop Association Director, Annette Pitts, I popped in on Steve Robinson, the Executive Director for the Pybus Market Charitable Foundation. Steve, along with Caitlin Gillespie, manages day-to-day operations and marketing for the Pybus Market. After they showed me the space, my assessment is that their most important marketing job is to simply get people in the door. The building does the rest. The Pybus Market has a very inviting vibe. After my official tour, I hung out for another hour, drinking coffee and writing while periodically lifting my head to people watch. The Market is nicely situated along the Columbia River between downtown Wenatchee and the Apple Capital Loop Trail that runs along the river. It’s a natural spot for people to congregate – visitors and tourists alike. The design of the Market was inspired by the Ferry Building Marketplace in San Francisco. When I saw the Pybus Market from the outside, it immediately reminded me of the indoor market in San Francisco. 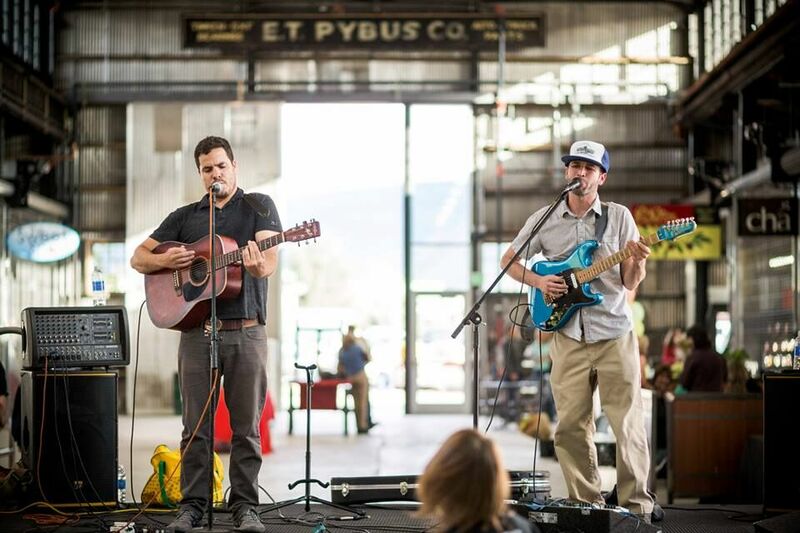 One of things that gives the Pybus Market its cool vibe is the live music. Even better than the architecture and location are the extremely friendly local merchants. The Pybus Market has a concentration of high quality regional businesses – from locally brewed beer to produce to local meat. 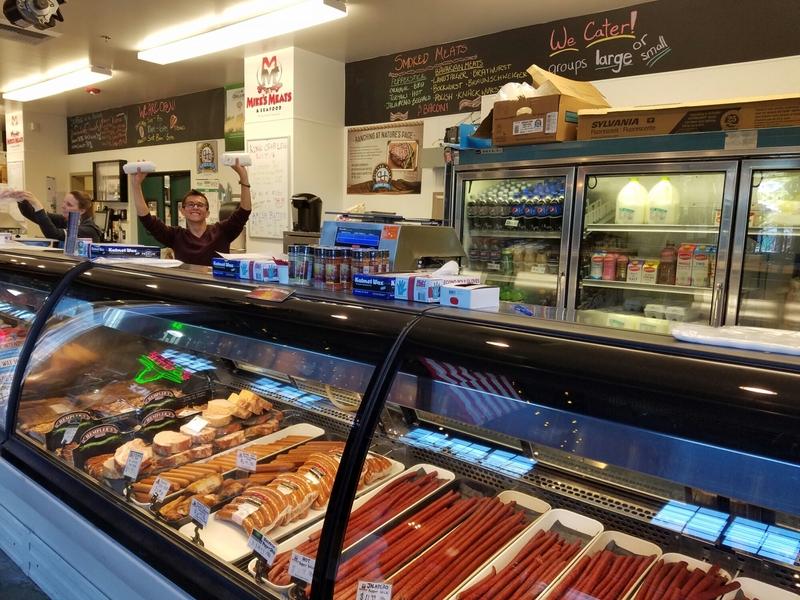 On my way out, I bought some local beef from Mike’s Meats to take back to this week’s ProjectWA headquarters in Lake Chelan. A big focus for ProjectWA so far has been preservation of historic properties, so I asked Steve about the impact the restoration of the Pybus Market has had on the community. “When cities develop waterfront, good things happen,” Steve said. “It has put [Wenatchee] on the map.” The Market has created more than 100 local jobs, and the rest of the waterfront is starting to redevelop. A new hotel is going in down the street, which Steve suggests probably would not have be happening without the presence of Pybus Market. After more than three years of year-round operation, the Market has evolved into a community center. “People congregate here,” said Steve. It’s no wonder, then, that the Pybus Market was named “Best Place to take an Out-of-Town Guest” by the Wenatchee Business Journal Readers’ Choice Awards. The creation and growing popularity of the Pybus Market has coincided with the emergence of an evolved identity for Wenatchee – from a small town known almost singularly for its apples, to “an outdoor mecca” known for skiing, biking, and countless other types of recreation. E.T. Pybus would be proud. If you want to see the intersection of Wenatchee’s history and future, I strongly recommend you check out Pybus Market. If you download the Washington State Insider app, remember to collect your points for visiting. Dang, we were just out that way a couple of months ago and would have loved to stop by if we had known. Thanks for posting this! Will make sure to stop by during our mid-July road trip!